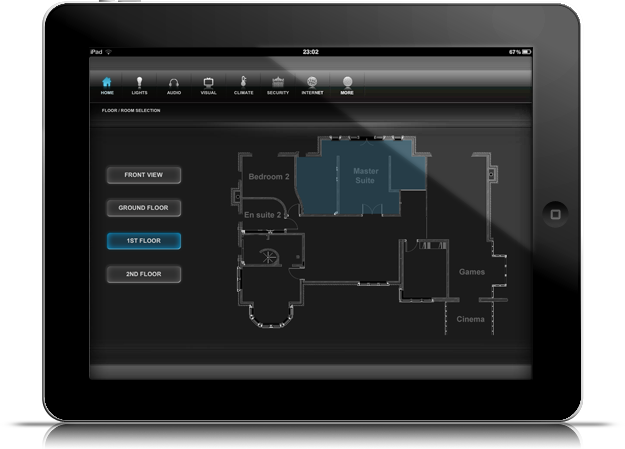 We recommend the use of an authorised installer to plan, design, install & commission your home automation solution. 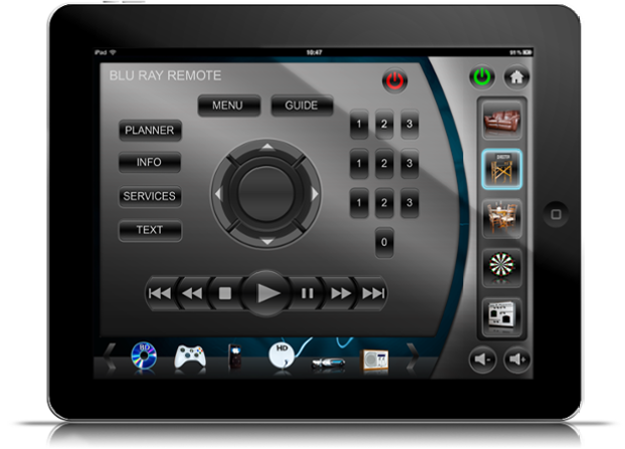 However, if you want to use our software & app to create your own system, we have provided you with everything you need to do so. 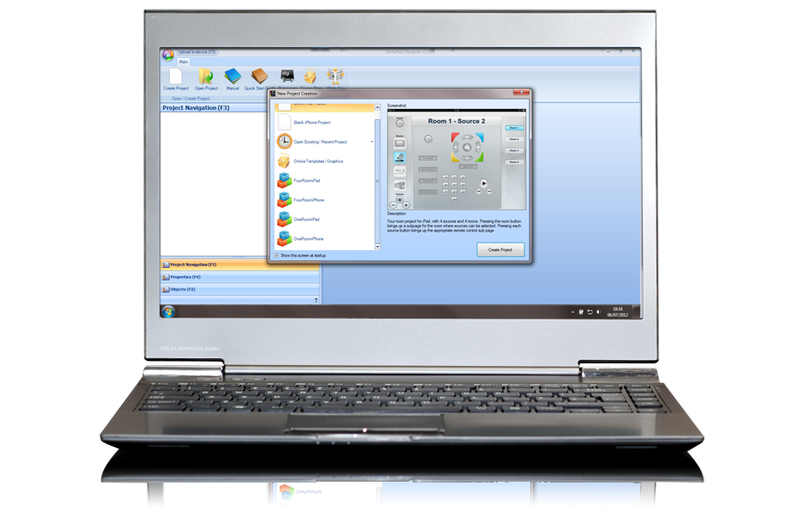 Plus you can always email us at support@demopad.com if you need additional assistance. 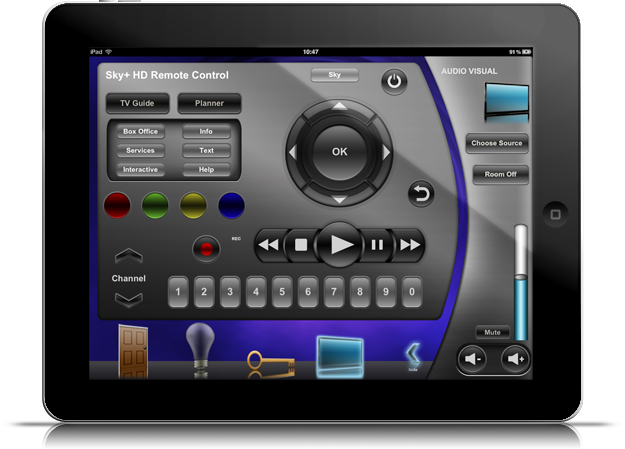 Use our DemoDesign software to create the perfect user interface for your app. Use any graphics you wish, or one of our pre-defined templates to create a style that works for you. There are several ways to control your equipment e.g. 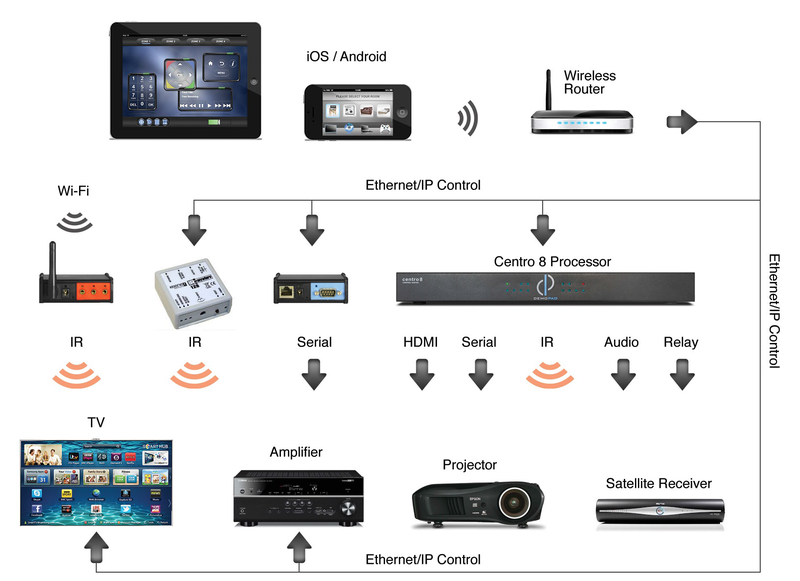 Infra-Red, RS232 or IP control. 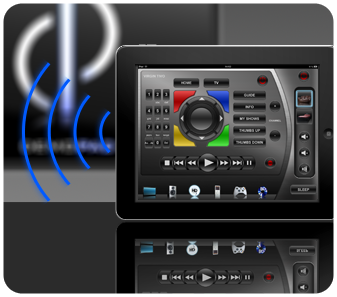 The DemoPad app can send IP commands to any device on your network however, for IR / RS232, Relays etc, you will need an IP Gateway such as our Centro products or third party controllers e.g. Global Caché and others. Downloading to your tablet or smartphone can either be done locally from your PC, or via the Cloud. If deployed using the Cloud, the project will auto check for modifications when there is an internet connection, otherwise, any adjustments have to be downloaded manually. Step 4: Control Your Equipment! 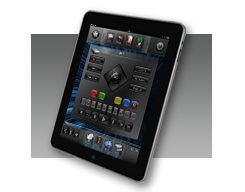 Now you can test the functionality of your system, and enjoy the benefits of a single app to control everything. 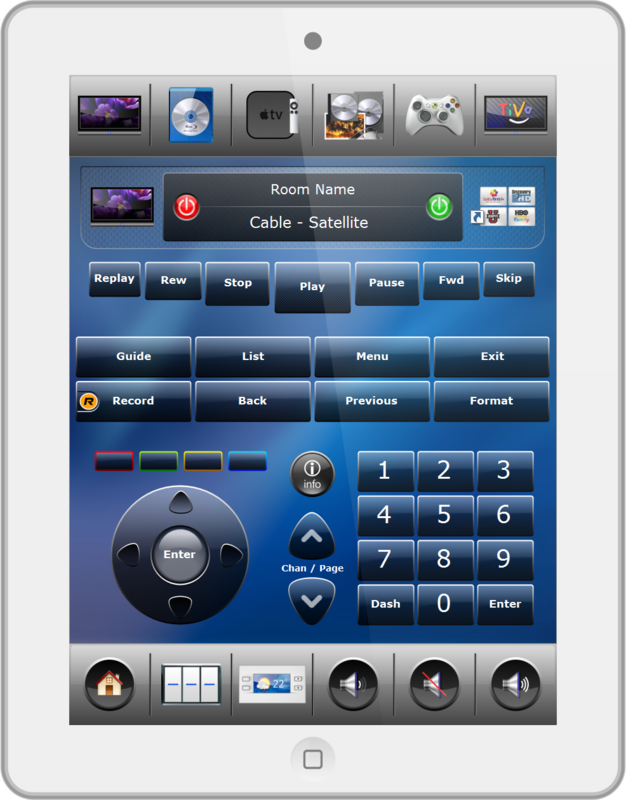 Next you'll need our DemoDesign software - which is our in-house developed PC software that allows you to completely configure your home automation user interface. 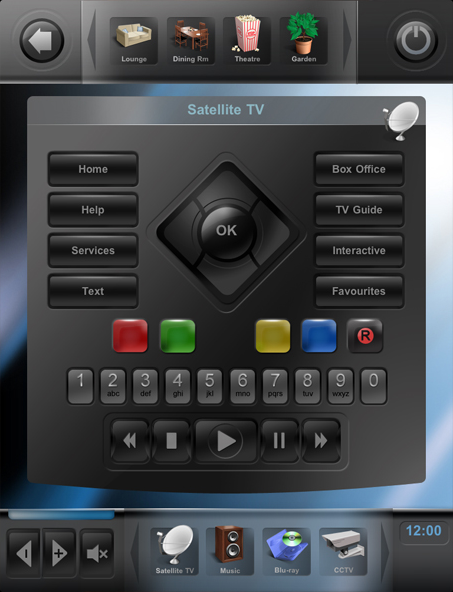 Using our supplied graphics files, or your own imported files, you can create a layout that works for you. 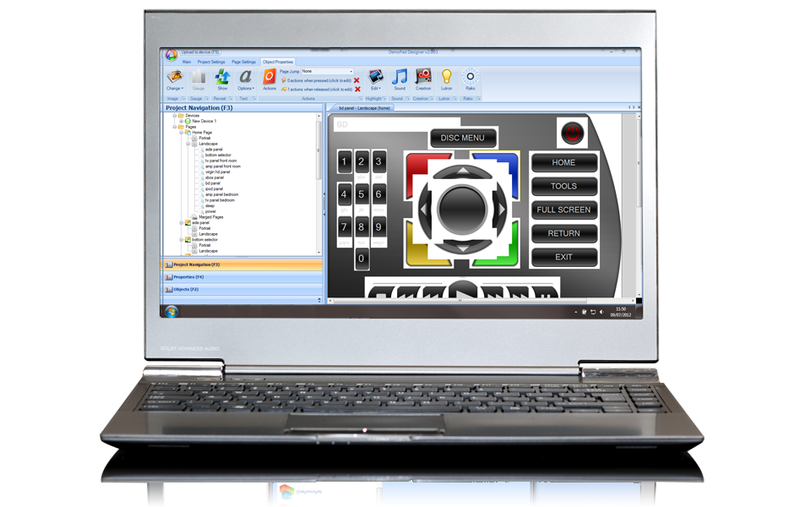 Multiple pages, complex conditional logic-based macros & object linking are some of the advanced features available in our software. We also provide some example projects and pages on our forums as well as other users being able to upload their own designs. There are also various example projects included in the DemoDesign software which you can edit as much as you like or start using straight away. 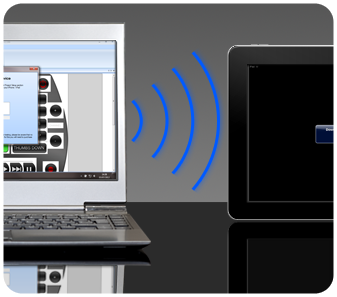 (Note: Even with our example projects you will still need to download the DemoDesign software to be able to upload the design onto your device). You can use any graphics files you can get hold of, at no extra charge, or you can use one of our pay per project graphics sets from our store. 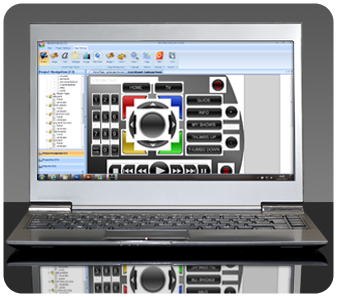 We've also teamed up with some excellent graphics design companies who have created custom design templates for use with DemoPad software. 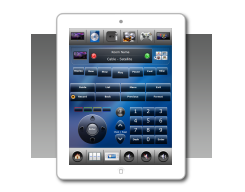 Available on the iTunes App Store, our CentroControl app works in conjunction with our DemoDesigner PC software to create a custom user interface which allows you to control your equipment - in a way that is best for you. 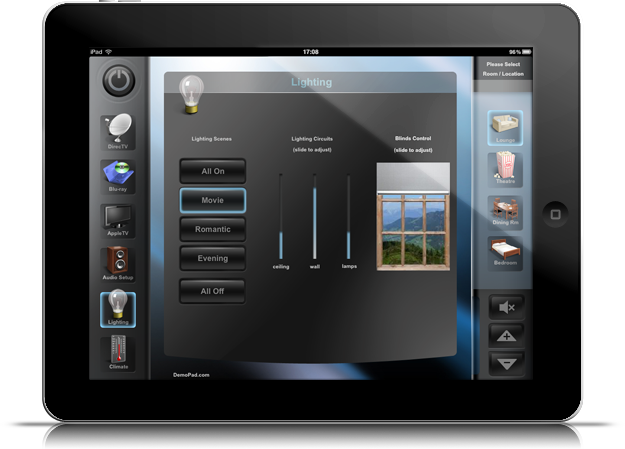 Once you configure the project on a PC, you are able to transfer the project to your iPad / iPhone, which then communicates directly with your home automation equipment.